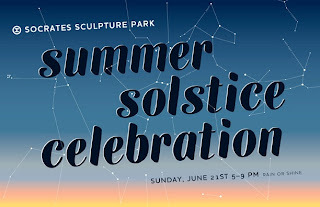 Socrates Sculpture Park will host a fun celebration in honor of summer (eh hem, I think they mean rain season). Despite the rough weather this year, the event should be a lot of fun, featuring live music, art-making workshops, face painting and let's not forget food! Several Astoria restaurants will be on-hand, featuring nibbles of their signature dishes from $3 and up.